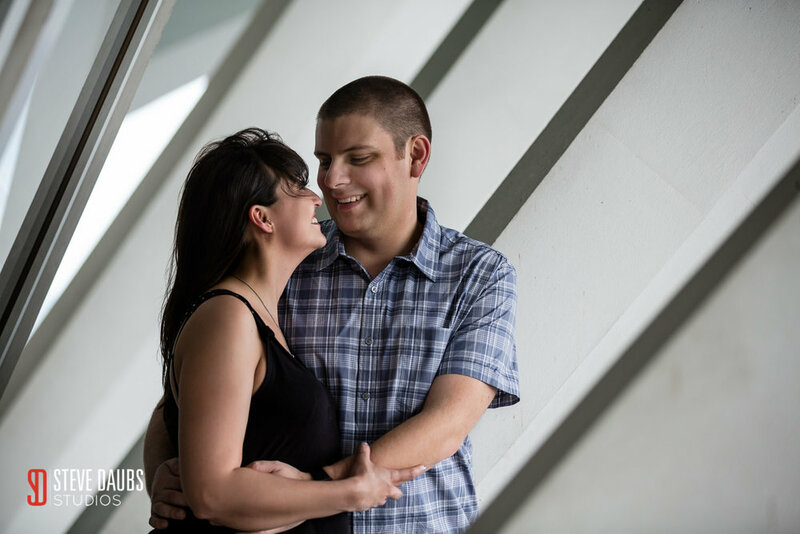 Brittany and David came to us wondering if we could do something a little different than your typical engagement photographs. Oh, and she said, we have a mastiff I'd like to include. Sure, we said. We love dogs! 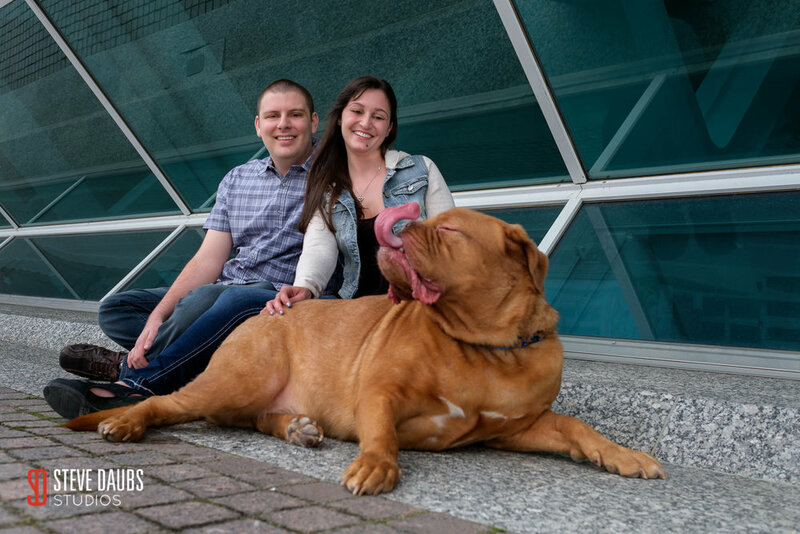 So we spent a beautiful spring afternoon in downtown Milwaukee, walking their lovable doggie and documenting their relationship. It was a blast! 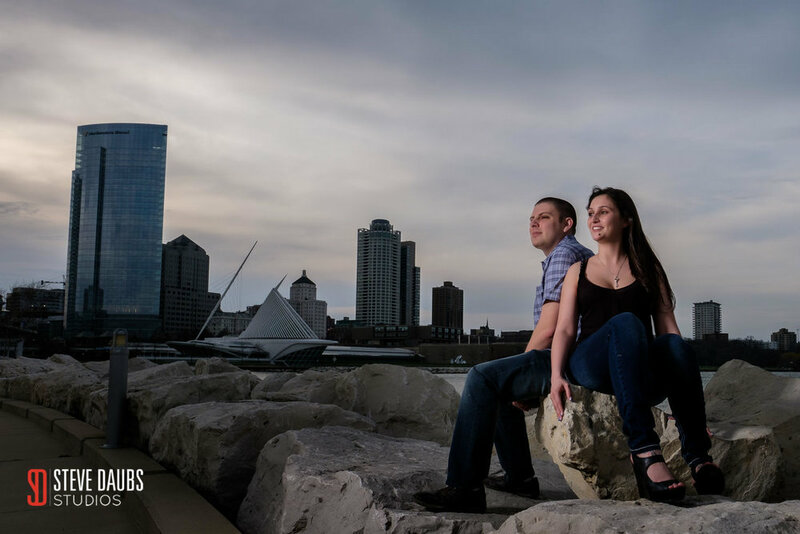 One of the great things for us about moving to Wisconsin is being able to photograph such a wide variety of settings, from Lake MIchigan to the beautiful lakefronts of Madison, to the city lights and varied architecture of this wonderful state. Here's a little sample of some of our favorites!